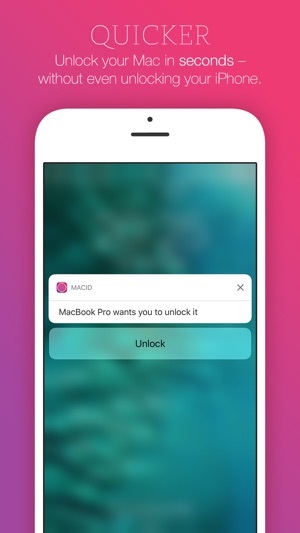 I have tried all the solutions for proximity iphone-mac auto lock and unlock. This is about the closest ive come to an app that is worthy of being on my “essentials” list of apps that I install immediately on getting a new phone. But; the Bluetooth connection can be kinda wonky, and proximity-only locking/unlocking is in the menu and enabled, but doesnt seem to change the default behavior. The defeult behavior which includes opening an app, waiting a few seconds to see your macbook visible (sometimes 🙄), pressing it, then pressing the home button for touchid. It takes longer and is more of a disruptive process than just logging in. Well, if the proximity features worked I wouldn’t mind. But since it seems like once again there is no app that will let you say “unlock when im within 10 meters, lock when im further. The devices would not find each other. 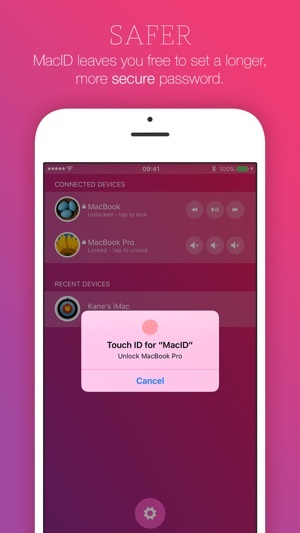 Toggling Bluetooth on and off, resetting Bluetooth did not work, so I uninstalled MacID from both iPhone and Mac and then reinstalled after rebooting both devices. This resolved my Bluetooth connectivity issues. The app did not recognize that I’ve changed my login password. Go into Keychain and delete anything associated with MacID. Re add iPhone. It then asks you to enter your current login password. But this was because I did not relaunch the app after the keychain delete. 😑 so hopefully now it will go back to working the way it did before which was rather flawless. Definitely some bugs but great app otherwise. Dev doesn’t really respond to emails but it’s just him a one man army so it’s understandable. Thank you 🤓 this is this best of the bunch. Pretty much a must have. I want to apologise for the lack of updates. Over the past year I've been redeveloping MacID for the latest versions of iOS and macOS to fix years of workarounds for various Bluetooth bugs. 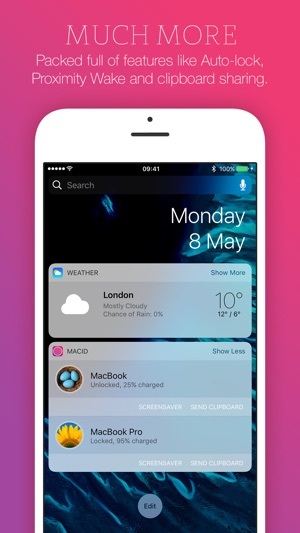 I'm happy to say MacID 2 is now available, but unfortunately Apple made me change the name, so MacID 2 is now called Unlox. If you paid full price for MacID you should be able to search for the Unlox Upgrade Bundle on the iOS App Store and get the upgrade for free/discounted. 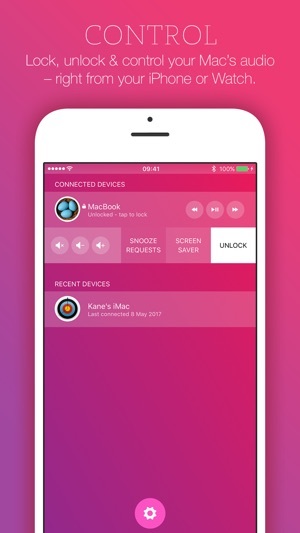 Unlox requires macOS High Sierra and iOS 11.2. I hope you love Unlox! You can find more info about Unlox at unlox.it/faqs, or tweet me @UnloxHelp and I'll help whenever I can! The idea of this app is very cool, but it has been plagued by a Bluetooth bug for like 2 years now, where it won't go past the 'connect your phone' screen. Author is very aware of this bug which seems to be fairly widespread, and blames it on Apple. I'm sure Apple probably has its fault indeed, but like how do you manage to not fix the problem in nearly 2 years? So a large share of the user base simply can't use the app? The author should be heavily invested in fixing these pesty bugs rather than providing a million different theme customizations. I would have requested my money back except I bought this a long time ago and got some use out of it before the bug showed up, so it wouldn't be fair. But this is a warning to other users considering getting this app.